If you own a business or a domain that offers a service then know doubt you get 100s of emails a day with people offering all sorts of nonsense. Am I correct? Of course I am, but don’t worry you are not the only one. I am going to give you a couple of tips in which you can get your outreach email to stand out from the crowd. Believe me it makes a huge difference to your conversion rate. The first tip is all to do with the subject. As stated above webmasters get 100s automated emails daily. This has led most people to quickly scan the subject line in their inbox’s to see which emails are important.Your subject line needs to grab the attention of the reader straight away. Include the web owners domain in the subject. This can be a killer way to grab the attention of a webmaster as more than likely they rarely get a subject line with the domain or the website name in it unless it is a genuine email! 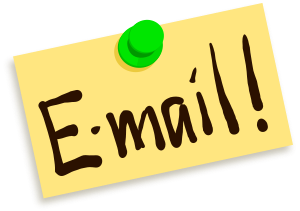 Now we have gained the attention, it is time to put together an awesome email which will make the owner comply with what you want. The aim for this is to build a relationship, so the first line of the email should go include the webmasters name, again this is something an automated email cannot do and will stand out from the others! The body of the email totally depends on what you are trying to put across for example an infographic promotion or a guest blog post. Follow these simple steps and you will increase your conversion! I was reading your site as I do on a regular basis (I’m a big fan! )… tickled ego … and came across this article ARTICLE RELEVANT TO INFOGRAPHIC. Try it yourself and comment with your results!